Rachel Mulry serves as the executive director of IT Customer Service at Southern Methodist University, where her teams (help desk, client hardware/software support, A/V support, service and application training, and training and communication) are responsible for providing client technology support to the SMU community. Rachel was a member of the HDI Higher Education Forum from 2006-2018, serving for several years on the program steering committee. 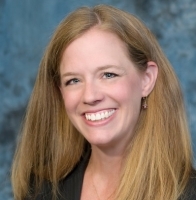 She holds several certifications, including PMP, HDI Support Center Manager, ITIL v3 Foundations, Lean Six Sigma Yellow and Green Belt, and MOS 2010 Expert.